We’ve added a few previews for the next months of the Cartographer’s Annual 2019. For April we have a new floorplan style by Pär Lindström. 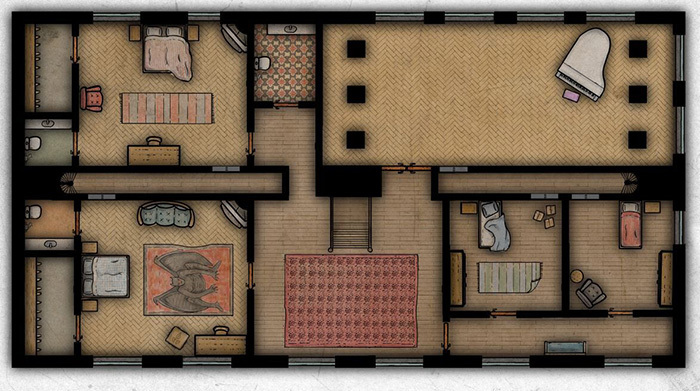 The “Moody Mansions” style is perfect for modern horror games and similar mapping endeavors. Whether you are investigating a murder in Victorian London or hunting otherworldly horrors in Arkham, Massachusetts, the style provides the perfection location map. May has another treat from the hand of Sue Daniel. 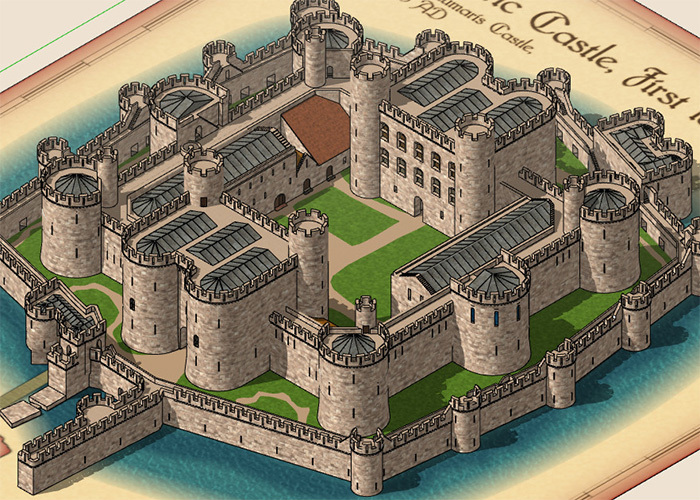 She has created an updated and much improved version of one of the castles from Source Maps: Castles, the Welsh castle of Beaumaris. It includes floorplans for all the castle’s levels, an isometric view and individual parts to build your own fortification from. In June we’ll be featuring an overland mapping style by a new contributor: Sebastian Breit of Foreign Worlds cartography. We love the maps he shows off on his site and look forward to seeing his work in CC3+!